» ICEcare » Corporate ICEcare on your mobile phone could save a life... yours or someone you know! Disasters can literally occur anytime! Disasters can occur anytime, and that includes business hours too! Do all of your employees know what they need to do at that time? Being prepared makes a huge difference! Most people carry their mobile phone at all times, making it most likely to be with them during a disaster. Depending on the severity of the disaster, wireless network may or may not be available. With ICEcare, organizations can push work emergency plans for each employee to their mobile phone as part of its preparedness initiative. This plan will be retained locally on each employees' mobile phone and can be accessed quickly, regardless of network coverage. Being resident on the mobile phone, its likelihood of being accessible at the time of need is far greater than any other medium today. Business Continuity Planning is critical for your business to survive through a disaster. Having a plan that is most likely to be accessible by your employees during those turbulent times will bring order and assurance to the execution of your plan. Each employee will have their work emergency plan on their mobile phone, guiding them on what they need to do at that time to minimize loss of life and property. Plans are worthless, but planning is everything. There is a very great distinction because when you are planning for an emergency you must start with this one thing: the very definition of 'emergency' is that it is unexpected, therefore it is not going to happen the way you are planning." Your organization will be better prepared by having your employees be more prepared. 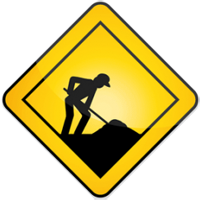 ICEcare enables you to help your employees be prepared at home and at work. If your employees' families are safe and secure at home, then your employees will have more time to help restore your organization at that time. 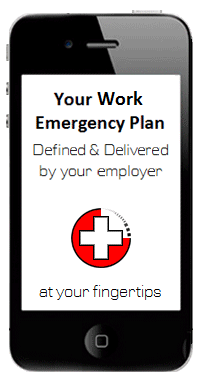 Interested in having your employees retain their work emergency plan on their mobile phone? If your organization has an emergency preparedness plan, we can work with you to make it much more accessible. Please fill and submit the form below to have an ICEcare ambassador get in touch to you.